At API Print Productions, we are committed to providing superior quality products and services to all of our customers. 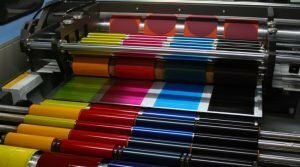 We offer an impressive range of printing products at the lowest prices, with fast turnaround times. We are an environmentally friendly printing company and print on up to 100% recycled paper, using soy or vegetable-based inks, a water based coating for our traditional presses, and non-toxic water-based inks for our digital presses. We are confident that our competitive prices and wide range of quality products and capabilities will meet or exceed your expectations.